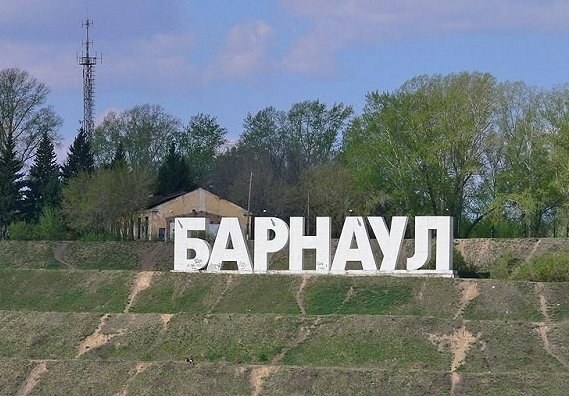 Barnaul is not particularly attractive from a historical point of view. Here are traveling in order to admire the natural beauty and "merge with nature". But in recent years there has been an increase in visitors to the Barnaul tourists, which speaks of its growing popularity. The fastest way to get from Moscow to Barnaul by plane. Liners of airline "Aeroflot" and S7 fly every day from the Moscow airports Domodedovo and Sheremetyevo. Flight time is 4 hours and 15 minutes. You can reach Barnaul on the long train. Once daily from Kazansky train station in the path of the train "Moscow — Barnaul". The main disadvantage of this journey is not too comfortable and far from the new trains, which travel much slower than modern trains. That is why the road from Moscow to Barnaul by train takes about 60 hours. However, the management of Russian Railways has announced that in 2015 to Barnaul train will get almost 50 hours because the line will be released new line-UPS. There is an opportunity to reach Barnaul and intercity bus. Every two days from the Kazan station pulls the bus "Moscow — Barnaul". The truth in the way he conducts even more than long distance trains — approximately 62 hours. There are brave souls who dare to journey from Moscow to Barnaul. For this we have to overcome approximately 3500 kilometers, and this test, not every car will make it. From the Russian capital it is necessary to leave on the road M-7 "Volga" and follow the main road, bypassing the Vladimir, Nizhny Novgorod, Cheboksary, Kazan and Ufa. After Ufa starts highway R-254 "Irtysh", which have to go through Chelyabinsk and Kurgan up to the border between Russia and Kazakhstan. On the territory of Kazakhstan it is necessary to move on the highway M-51 through the town of Petropavlovsk, and after entry to the Russian land, the car will again go to the highway R-254 "Irtysh", which will be held in Omsk and will bring to Novosibirsk. But after Novosibirsk it is necessary to turn on the Chuysky tract and after 27 kilometers will be the outskirts of Barnaul. This difficult path takes a lot of time — approximately 58 hours of pure time. That is, excluding overnight stays and stops.